"A good reputation must be earned." “Since 1935 my family has been producing quality garage and commercial doors as well as, later on, matching openers, high performance doors, loading dock technology, steel front doors and fire-rated doors. We succeeded in developing and patenting many components which have helped to continuously improve the technology and quality of our industry. We have some twenty-six manufacturing facilities across Germany, Europe, the United States and also in emerging markets around the globe. 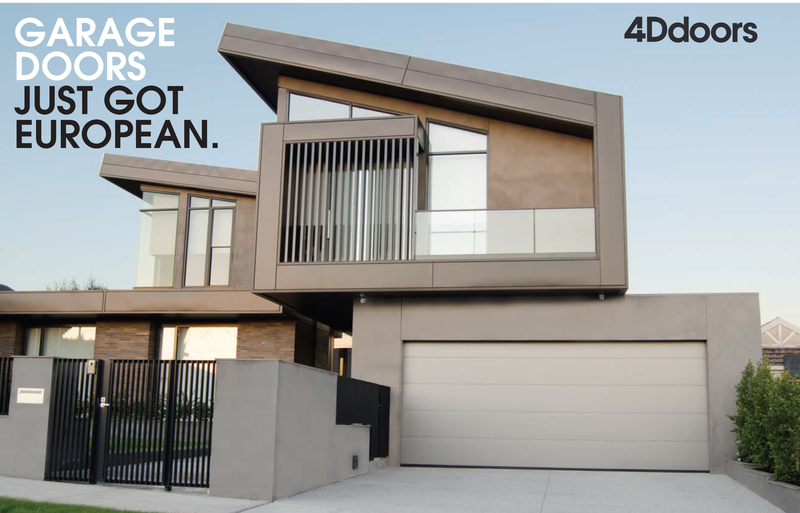 So it’s with much excitement that we have welcomed 4D Doors as our chosen partner to launch Hörmann in the Australian market. The team at 4D is experienced, sensitive to our requirements of perfection, innovation and quality. Sharing our values and ideas, 4D is clearly capable of shifting Australians toward our products which are designed to satisfy the high demanding European standards and requirements.